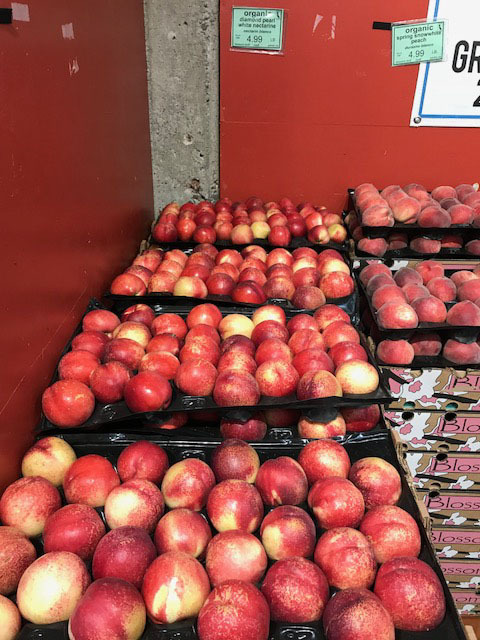 Blossom Bluff stone fruit is in season at Rainbow Grocery right now! “Since 1931, our family’s farm has been producing excellent fruit. And why shouldn’t it? After all, we are situated in the heart of California’s San Joaquin Valley, which is widely know to be one of the most fertile areas in the world. Over the past four generations, our farm has seen a lot of changes, but the quality of our fruit has remained consistent. We are currently growing over 150 varieties of tree fruit on just under 80 acres, and we’d love to share some of it with you.